It’s summer in Perth and the beach is beckoning – so why are we talking about storms? Well, although tropical cyclones generally hit the north of WA and dissipate before they hit Perth, some make it through and can cause some serious damage. Remember, our tropical cyclone season runs from November to April which is throughout the summer months. 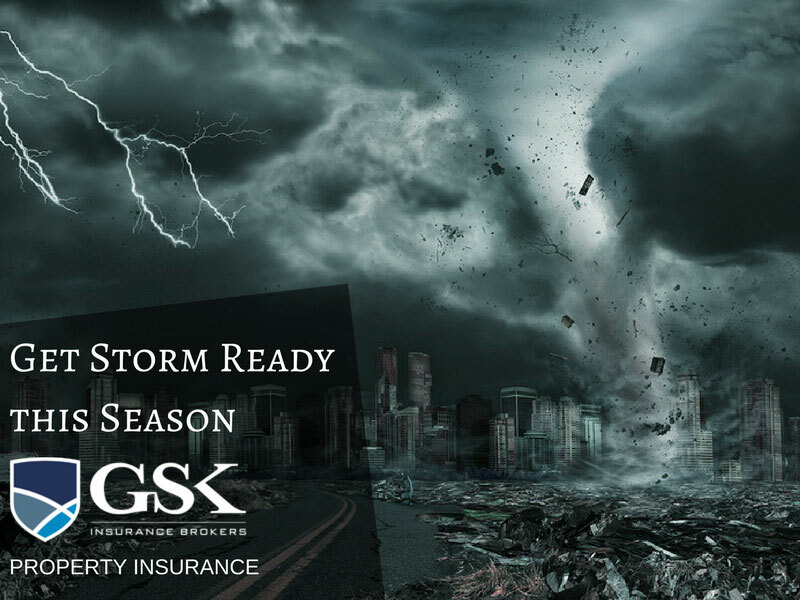 Here at GSK Insurance, we offer property owners insurance to our Perth customers so we know all too well the kind of damage which can occur following a severe storms or cyclone. Let’s take a look at how you can prepare if you discover that serious weather is on the way! If you hear that a cyclone could potentially be making its way down to Perth, get as prepared as you can ahead of time. Trim overhead branches around your home and check that your roof and gutters are in good working order. Have a list of emergency numbers that you may need in the case of damage, such as FESA, and have an emergency kit ready to go which should contain at least a torch and batteries and a first aid kit. Clear any loose items in the backyard and secure things that could potentially blow away. If predictions come through and a tropical cyclone or associated weather even is upon you, double check that everything in your yard is as secure as possible. Bring your pets inside or make sure they’re in a safe areas if they need to be outside. Charge up your mobile phone so you can contact the outside world in the event of a power failure and fill up some containers with water. Keep an eye on the news because that will keep you informed as to the current situation and whether the cyclone has been upgraded. Although you may never have to experience the impact of a cyclone, it’s best to prepared and the best way to protect your home is to have property insurance in place. This means that even if severe weather hits and damage is caused, your insurance cover protects you against the cost of damages which offers the ultimate peace of mind. Even though it’s very rare for a tropical cyclone to cause any serious damage in Perth, you should always ensure you have the right cover in place! For more information about property insurance Australia, speak to GSK Insurance Brokers. Our experienced insurance brokers in Perth will take a look at the specific risks your property faces and come up with an insurance solution which covers your risks and fits your budget. If you do need to make a claim following a storm, we make the process as easy as possible by liaising directly with the insurer on your behalf. If you’re after a property insurance quote or have any other questions, contact the team at GSK Insurance Brokers today on (08) 9478 1933.